The loss of the icon was duly communicated to Vadamalaiyappa Pillaiyyan, the local administrator of the Nayakkan ruler at Tirunelveli, and sorely felt for some years. 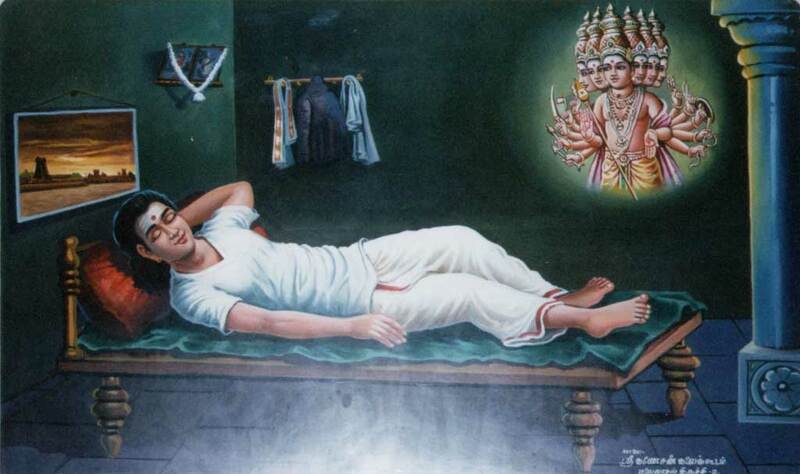 A great devotee that he was, Pillaiyyan was deeply affected and knew not what to do. Hence he ordered for a similar icon to be made in panchaloha. In 1653, as the duplicate one was ready, and was on its way to Tiruchendur to be installed, Vadamalaiappa had a dream.